[OSEN = Jang Jin-Ri] Ju Yeong-hoon and Lee Yoon-mi married in their 11th wedding anniversary. On August 28, Ju Yong-hoon announced his impression of his 11th wedding anniversary on his instagram. The couple, Yoo Young-hoon and Yoon-mi Lee, celebrated their 11th wedding anniversary today. "It was Saturday, October 28, 2006. I remembered the promise of that day," said Joe Young-hoon, "and I expressed my love for my wife Yoon-mi, saying," I will live with the promise of the day. In the public photos, Ju Yeong-hoon and Yoon-mi Lee are showing off their affectionate looks with their shoulder bumps. 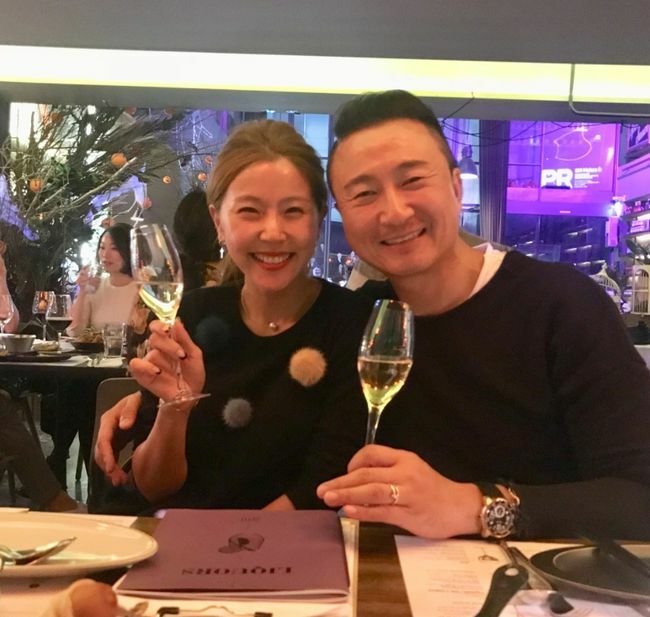 To celebrate the wedding anniversary, the two smiling faces are attracting attention with champagne and a bright smile.